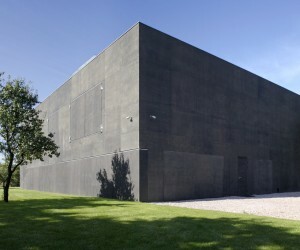 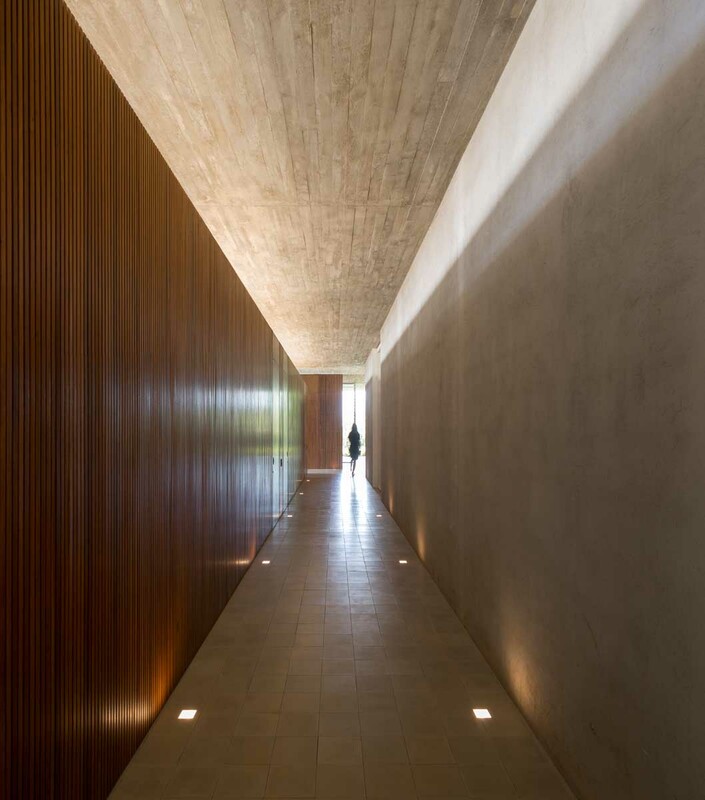 Completed in 2013, Casa Redux - or "Redux House" - is a truly breathtaking contribution to modern residential architecture. 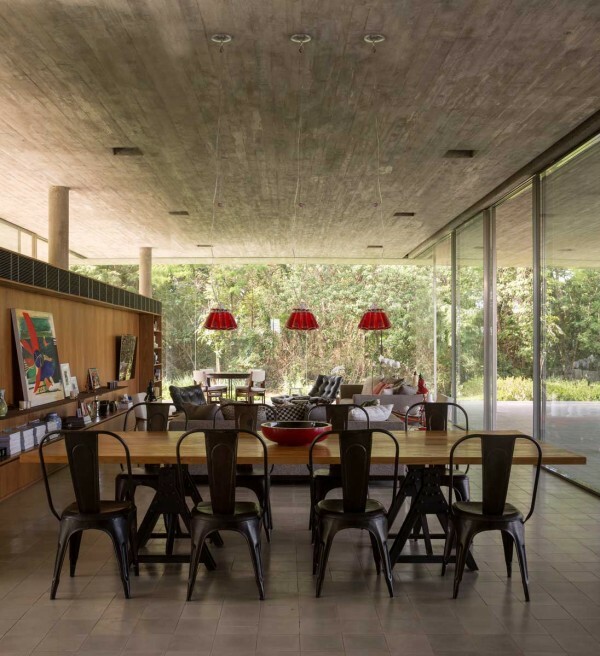 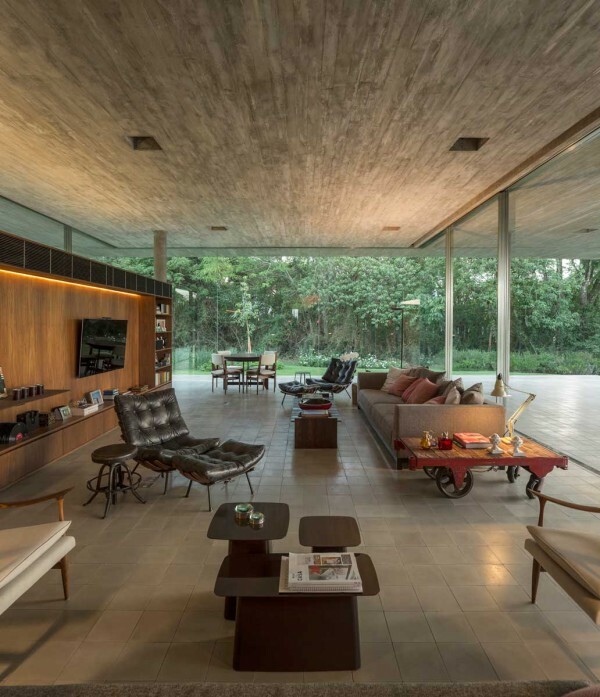 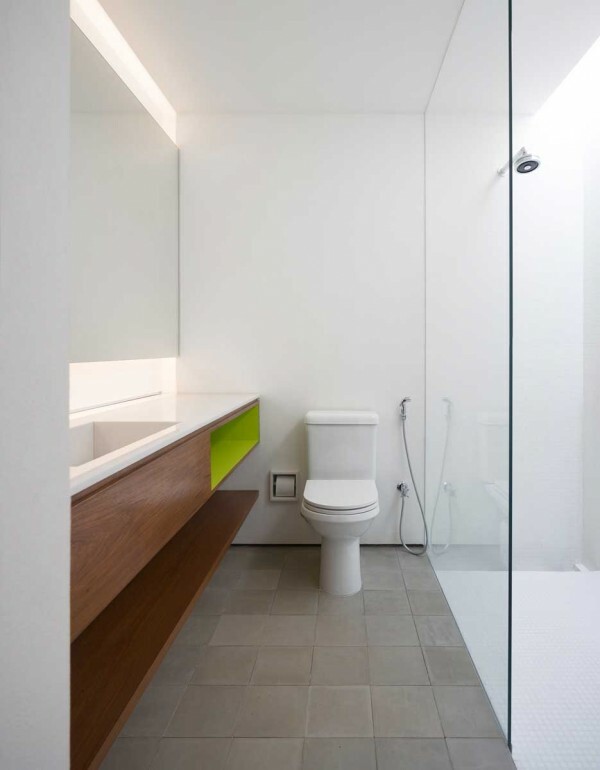 Studio mk27, a São Paola architecture and design firm headed by Marcio Kogan, created this home from start to finish. 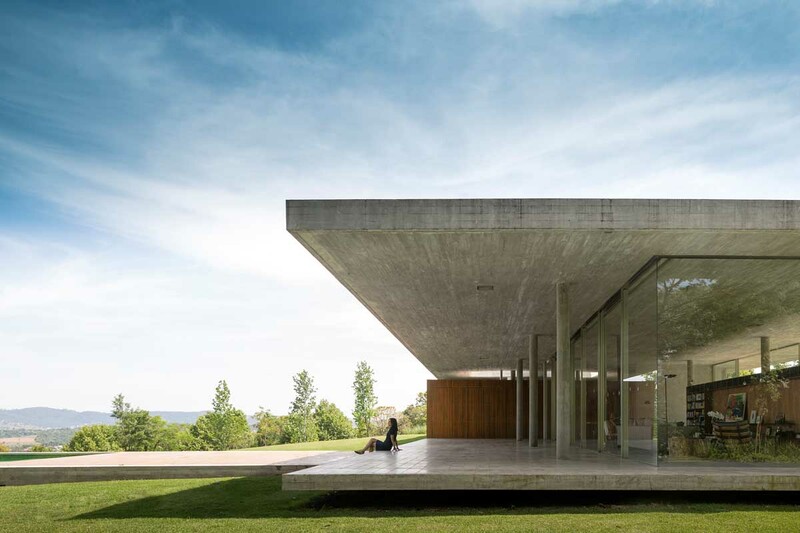 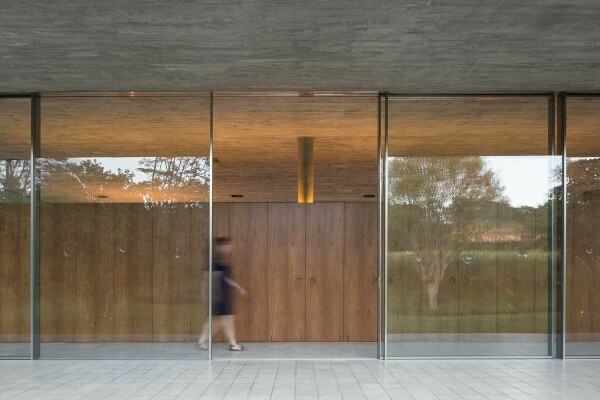 The resulting structure is a textbook study in clean lines and stark, modern detail from its captivating windows to its concrete textured walls. Step inside for more views of this amazing space. 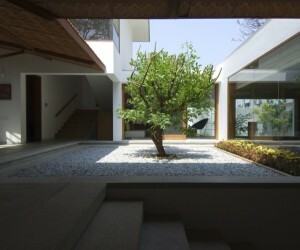 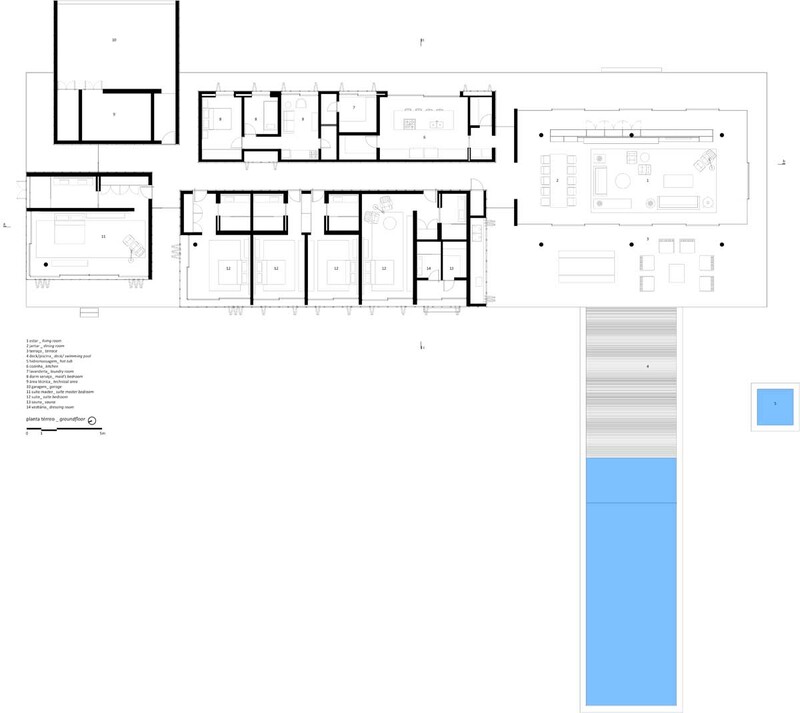 As with any project, the architectural team had to begin this design by focusing on the natural environment of the land. 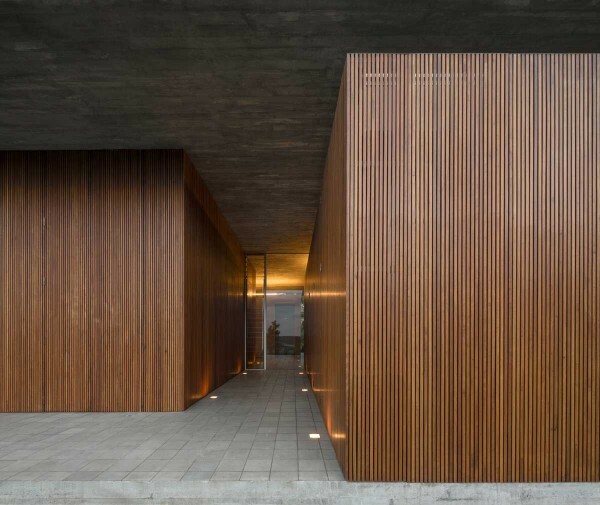 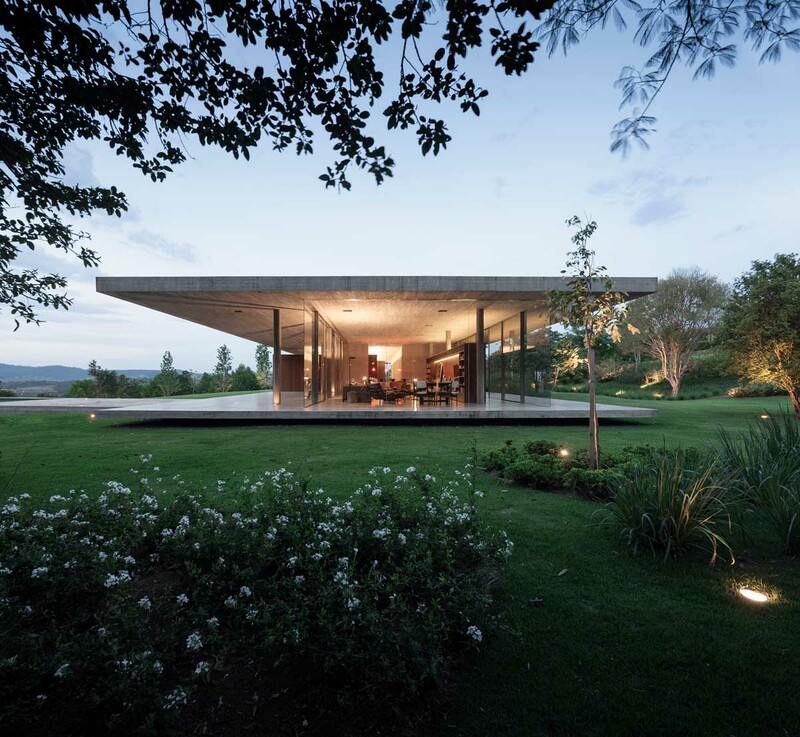 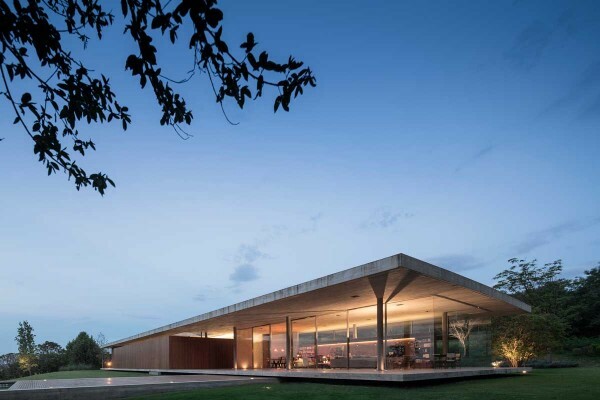 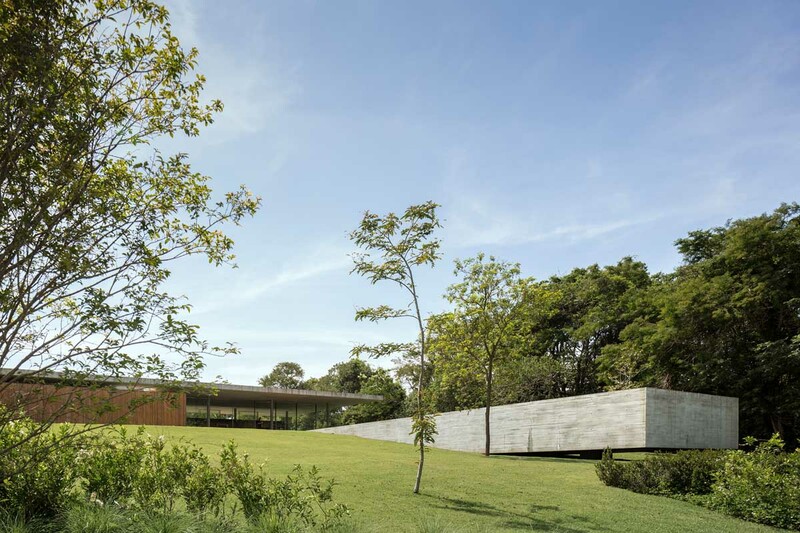 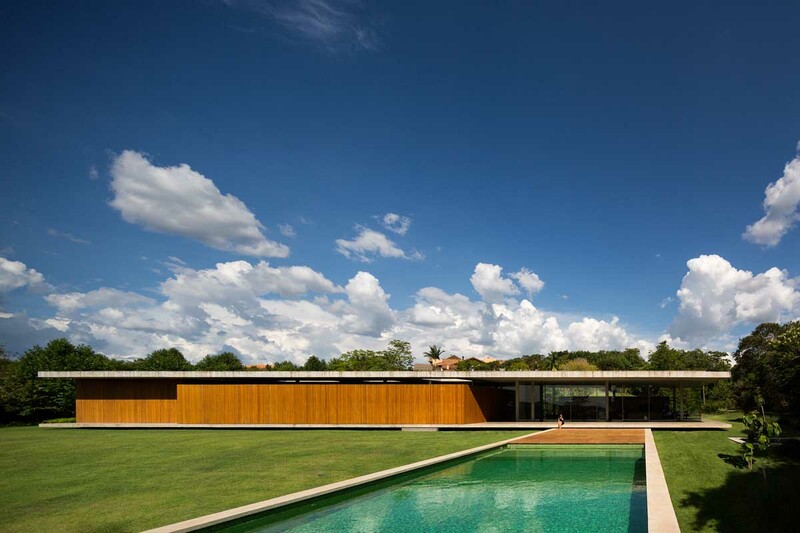 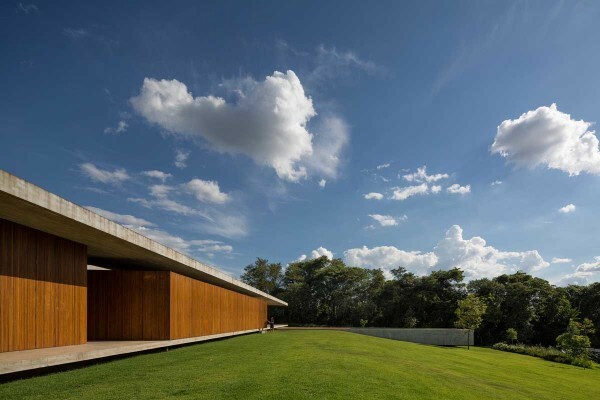 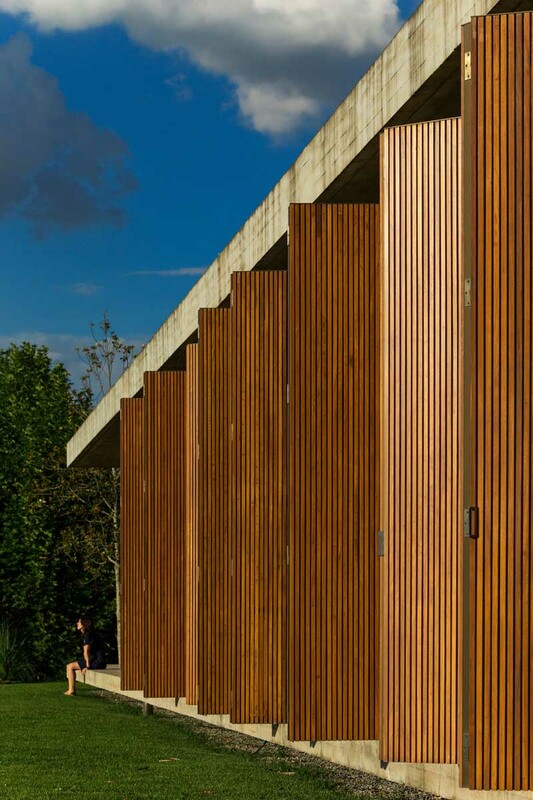 They chose to build the house on the highest ground of the plot, giving residents full, sweeping views of beautiful Brazilian sunsets and surrounding natural landscapes in the gated community of Quinta da Baroneza. 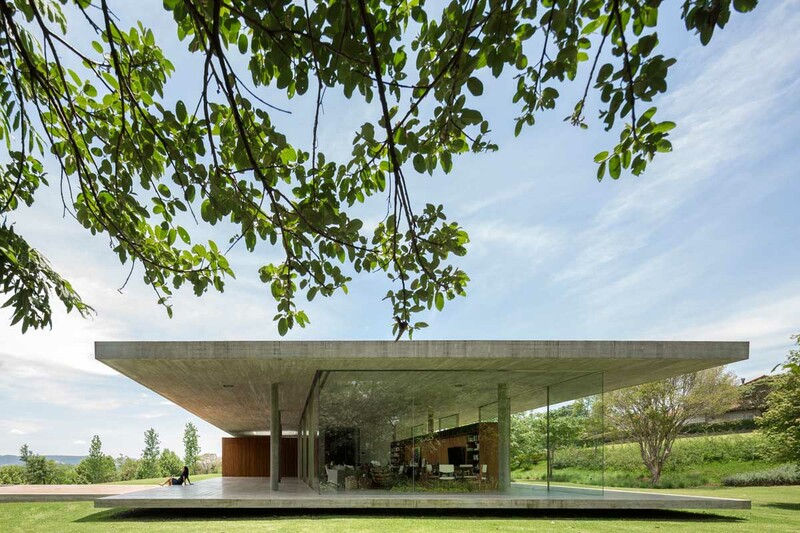 Perhaps the most noticeable visual cues in this home are the dual slabs – the floor and the ceiling – that sandwich the large window panes. These concrete pieces create and almost overwhelming sense of long and clean, situating the house perfectly in modern style. The way in which the floor was created, sitting 50 centimeters (about 20 inches) off the ground, the home almost seems to float above the earth. 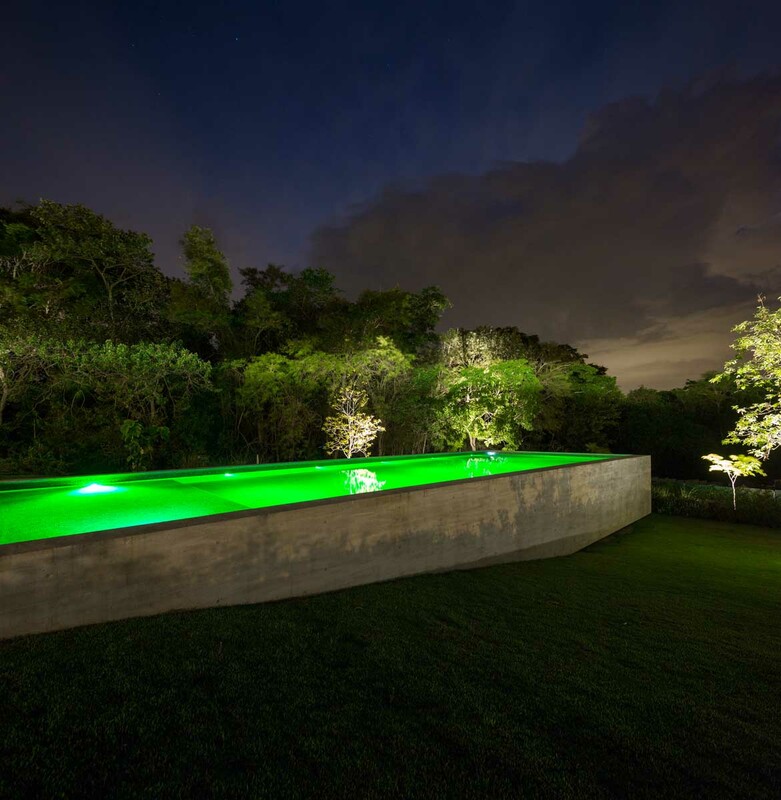 The ethereal feeling is extend in the large yard with a simple, deep concrete pool that glows at night, making it easy to wonder whether you have stepped into a home or into a dream. From the outdoor pool to the striking folding wood panels, the home is not just located on a plot of land, it is located in nature. 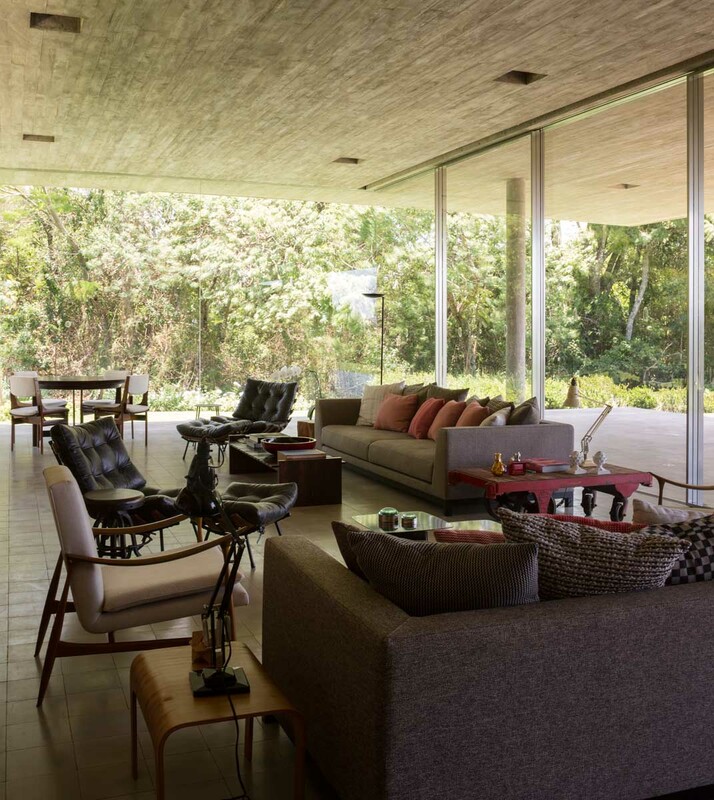 The easy flow of the design from inside to outdoors creates a home that does not let one forget about the land, the earth, or the sky that give us all a home. The wood panels also serve as practical privacy curtains for the home’s bedrooms, since there are limits to the desire for sunlight and envious eyes.